Booksellers are invited to sign up now to participate in an online discussion about audiobooks on November 29. On December 6, ABA’s Marketing Meetup will look at marketing for kids’ bookstores. 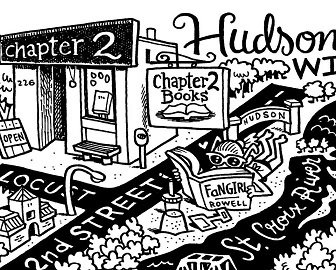 Sue Roegge of Chapter2Books shared some tips on how to ask authors to link their books to IndieBound instead of Amazon. Sessions booksellers can sign up for include “Developing Leaders in Your Store, with Alden Mills,” which will feature an overview of strategies to help owners and managers nurture promising booksellers. 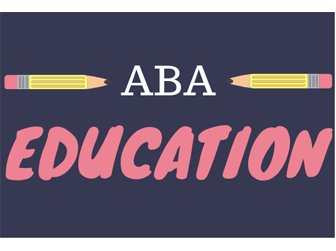 Booksellers who attended any of ABA’s finance seminars or accessed the presentation online are asked to let us know if they have successfully put any of the session’s tips or tricks into practice. Guest speakers Kelly Justice of Fountain Bookstore, Suzanna Hermans of Oblong Books, and Gwyn Ridenhour of Matchbook Marketing discussed how they manage publisher co-op funds. “It’s a daunting task, but very worth it. Planning and auditing are key,” said Vroman’s President/CEO Allison Hill. Changing Hands co-owner Cindy Dach wanted to help the stores’ booksellers learn skills that could be used in both the industry and beyond, so she launched a series of educational sessions on a range of topics. Recent topics covered include subscription services, loyalty programs, and social media. The November 8 roundtable discussion will focus on co-op, followed by audiobooks on November 29. The most recent IndieCommunication invited booksellers to register for the IndieCommerce Institute, get ready for new credit card security changes, and sign up for a roundtable on co-op. 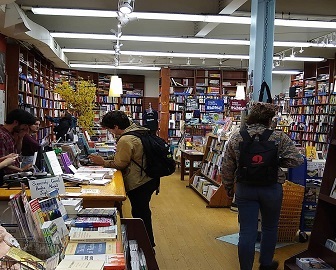 During the video conference, indie bookseller experts will discuss how they take advantage of publishers’ co-op funds for advertising and promotions. During the discussion, three bookseller panelists shared details about the membership programs their stores offer and the benefits customers receive when they sign up. Winter Institute attendees who have experience across a range of topics, from managing multi-location bookstores to thriving as a new bookstore owner, are asked to volunteer. ABA’s new webinar “Web Accessibility and Your IndieCommerce Site” features tips booksellers can use to apply Americans with Disabilities Act (ADA) guidelines to their IndieCommerce and IndieLite websites. Booksellers who missed out on ABA’s educational finance seminar at the Heartland and Mountains & Plains regional trade shows can now see the presentation on BookWeb.